The breeze has taken on a crisp edge, the earthy green scent of prairie dropseed is floating across the park, and some of the summer’s favorite flowers are fading. Autumn is on its way. Before you lament the passing of summer, remember that there’s so much to look forward to with fall. There’s the gorgeous autumnal foliage, hot drinks from Blue Bottle, and a host of fall blooms, like my favorite, asters. See more of September’s blooms on our monthly bloom list. 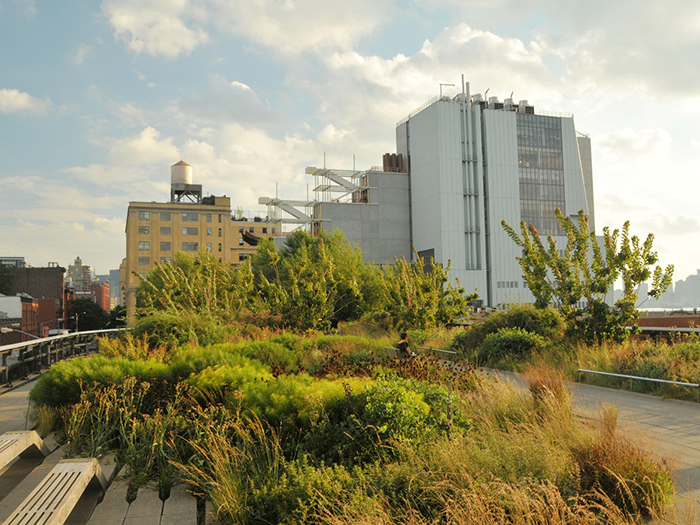 And don’t forget to join us next weekend, on Sunday, September 21, when the third and northernmost section of the park, the High Line at the Rail Yards opens to the public.